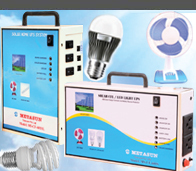 Economy mini HOME UPS for a common man's need. 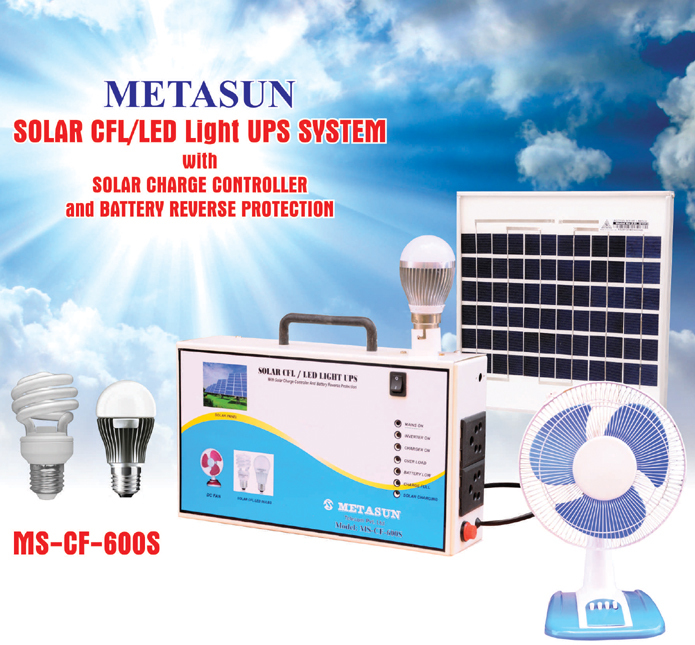 Automatic changeover to inverter on mode very fast without delay with electronic switching. 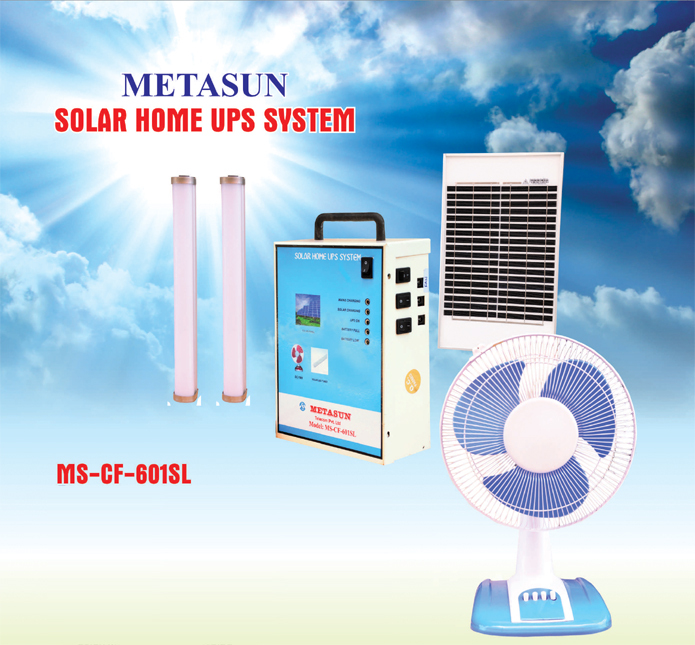 Suitable for house holds and small shops, establishments. Sealed maintenance free lead acid battery 12v, 7.5AH. With sunlight gives 8 hours back up. It gives back up of 3 hours with one 12V DC fan and Two 6W LED lights. For long life of the battery, charge battery for 8 hours once in a month, even if UPS not used. When battery low LED on, charge UPS for 8 hours immediately. It gives back up of 3 hours with one 12V DC fan and Two 11W CFL Bulbs.